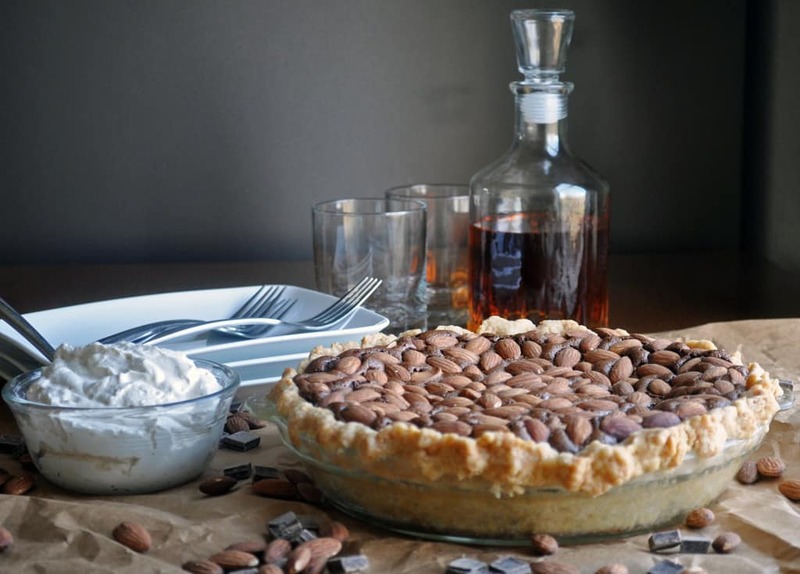 Easy Homemade Chocolate Pie with Almonds and Bourbon. This rich and gooey homemade chocolate pie recipe that’s packed with dark chocolate, roasted almonds, and a touch of bourbon just might replace your traditional Thanksgiving pecan pie. It struck me this week that Thanksgiving is about a month away. How did that happen?! Seriously. I know I’m showing my age by saying things like, “The year has gone by so fast! Where does the time go?” Let’s face it. These are not something teenagers and twenty-somethings say. I don’t know why time seems to speed up with every passing year. I just know that it does. Which is just wrong… because when you’re young you’re always looking forward to something – the next year in school, graduation, birthdays, Christmas, your 21st birthday – and time seems to drag. And then something peculiar happens. Time keeps speeding up. No matter what you do, it seems to get faster. And faster. And faster. It’s the New Year and then it’s Christmas. Betcha you thought this post was about Chocolate Pie. Yeah, yeah. It is. The point is, I’m thinking about Thanksgiving even though I feel like Thanksgiving just happened. Which, honestly, is totally fine. While I whine about time moving too quickly, I actually love everything that goes into Thanksgiving…. especially the pies. I feel like the Thanksgiving dessert menu at my house should include the traditional assortment of apple pie, pumpkin pie, and pecan pie, largely because I generally only make these pies once a year. But, Thanksgiving is also my chance to bake something that I’ve been wanting to make, but waiting for a special occasion, like a rum custard tart, or chocolate rugelach, or raspberry fig tart, or chocolate banana cream pie. 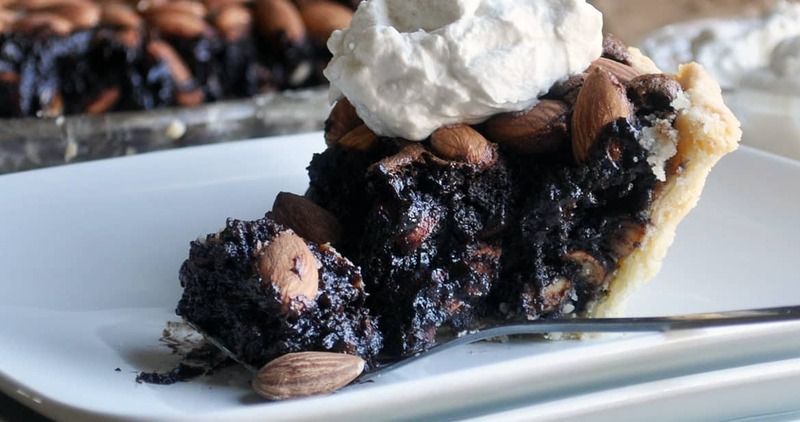 The combination of chocolate, almonds & bourbon in this gooey chocolate pie is awesome. 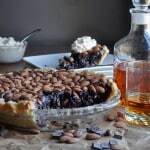 I love the flavor that bourbon adds to this chocolate pie. 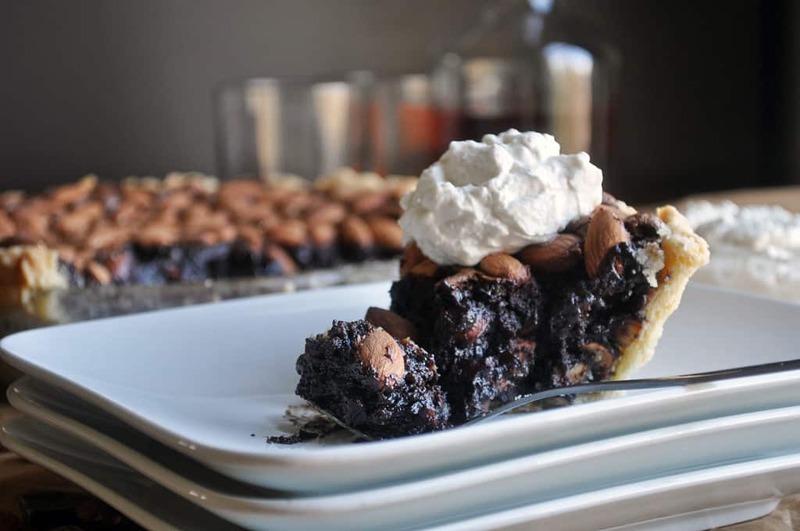 It seems to deepen the chocolate flavor and adds a subtle balance to the pie’s richness. But, you could certainly swap it out with something like rum, Kahlua or Frangelico. Or, leave it out altogether. Your chocolate pie will still be delicious. 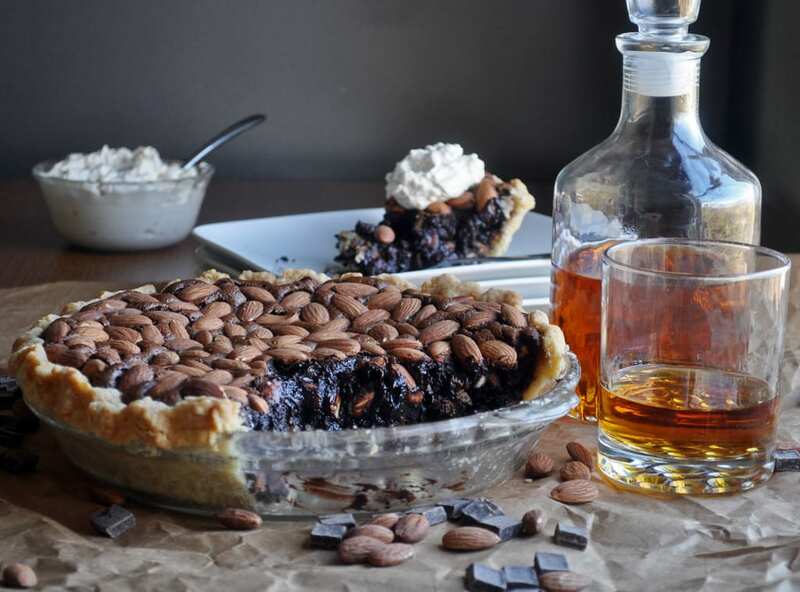 The type of syrup you use in this chocolate pie is also totally up to you: dark corn syrup, honey, agave nectar, brown rice syrup, sorghum syrup, or a combination. In the recipe below I’ve used half dark corn syrup and half honey. It’s delicious. You could swap out the corn syrup with agave nectar without affecting the flavor. Brown rice syrup has a delicious nutty flavor that’s perfect in this chocolate pie. Sorghum syrup adds a complex smokey flavor. All are fantastic options. Use what you like, or what you have, or what you can find. It doesn’t matter, your chocolate pie will be scrumptious either way. 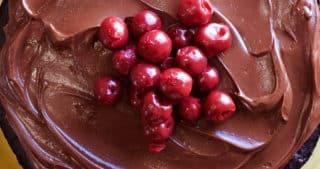 One final note: This is a very rich chocolate pie – another reason why it’s great on a Thanksgiving menu, where you want to sample small slices of several different kinds of pie. 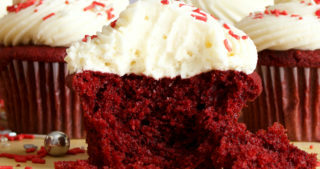 To cut the richness a bit, I suggest serving it with a dollop of whipped cream or a drizzle of crème anglaise. 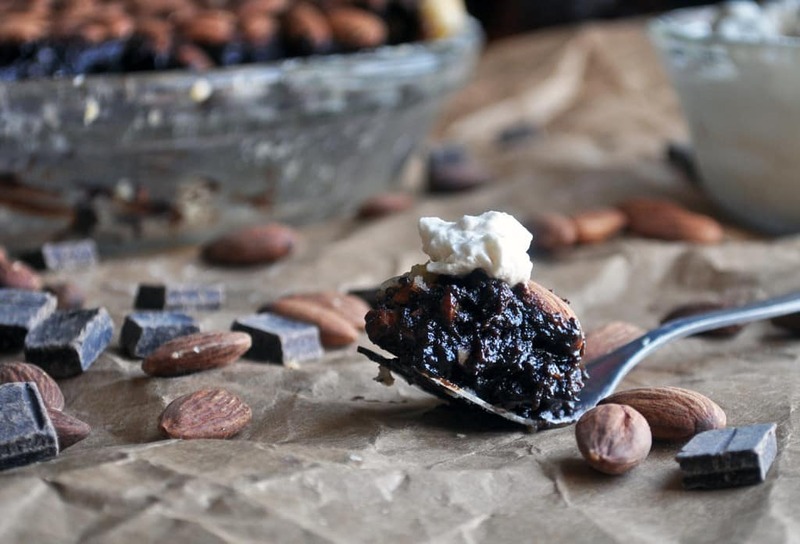 Both options are delicious and add a lovely vanilla counterpart to the dark chocolate. A rich and gooey homemade chocolate pie recipe that’s packed with dark chocolate, roasted almonds, and a touch of bourbon. *NOTE: Agave Nectar, Brown Rice Syrup, or Sorghum Syrup may be used in place of the corn syrup and/or the honey. Preheat oven to 375. 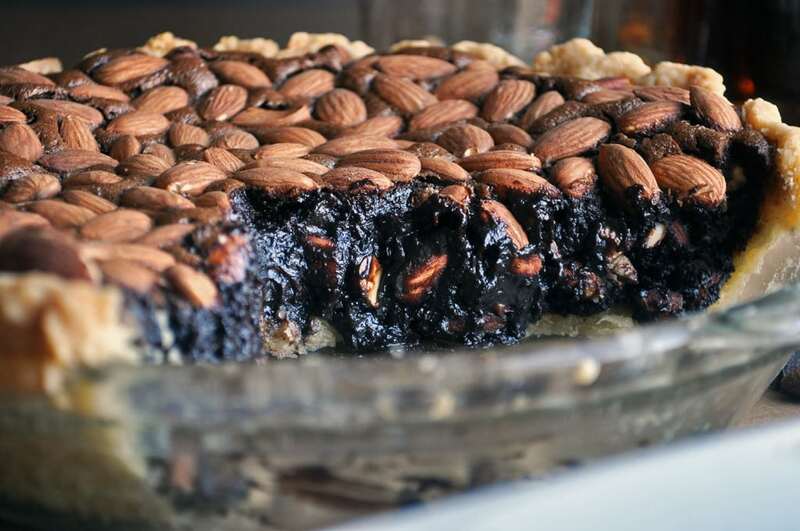 Spread almonds in an even layer on a baking sheet and roast until dark brown and fragrant – about 10 minutes. Let cool completely before adding them to the chocolate pie filling. 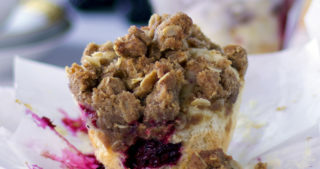 Remove pie dough from the refrigerator Roll the dough on a lightly floured surface into a 13-inch circle. Run a large spatula or dough scraper under the dough as you roll to ensure your crust is not sticking to your rolling surface. Add additional flour as necessary. To place the dough in your pie plate, fold the dough in half (I use a large mettle spatula for this task) and then fold it over again, making a triangle. Place the dough in the pan with the tip of the triangle in the center of the pan. Unfold and gently press into the pan, making sure the crust is snug in the corners of the pan. Trim the excess dough from the edges with kitchen sheers, leaving enough to create a nice high edge to your pie, about an inch of overhang. Fold the overhang under itself so you have a cylinder that rests on the edge of the pie plate. With one hand on the inside of the edge, and one hand on the outside, use the index finger of your inside hand to push the dough between the thumb and index finger of your outside hand to form a U or V shape. Continue this crimping motion around the entire edge. Cover with plastic wrap and chill in the refrigerator until ready to fill. In a small saucepan, cook both chocolates with the butter over low heat, stirring constantly until melted and smooth. Pour into a small bowl and let cool to room temperature. Chop 2 cups of the roasted and cooled almonds into large pieces – chop each almond into 2 or 3 pieces. Leave 1 cup of the almonds whole. 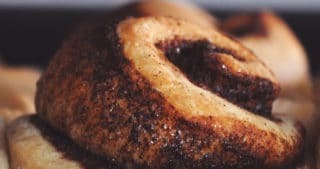 Beat the melted chocolate and butter, brown sugar, corn syrup, honey, eggs, vanilla, bourbon, salt, and cocoa powder with an electric mixer fitted with the whisk attachment on medium-high speed for 1-2 minutes, until the mixture has lightened slightly in color. Stir in the chopped almonds and pour the filling into the chilled pie shell. Distribute the whole almonds in an even layer across the top of the filling. Place on a baking sheet (just in case any of the filling bubbles over as it bakes), and bake in a preheated 375 degree oven for 55-60 minutes. When done, the pie will have cracks along the edges and be mostly set. The center will jiggle slightly – like set Jello – but not seem liquid. Remove from the oven to cool on a wire rack for at least 1 hour before serving. 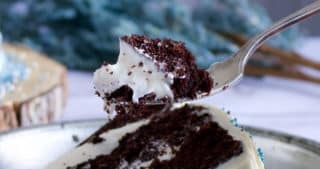 Beat the whipping cream, 1 tbsp powdered sugar and vanilla with an electric mixer fitted with the whisk attachment on medium speed until soft peaks form. Taste and add additional powdered sugar if desired. 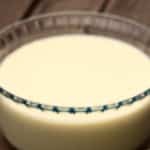 This light custard sauce is the perfect accompaniment to Chocolate Pie with Almonds and Bourbon. 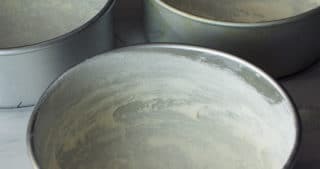 Pour the milk into a heavy bottomed medium size saucepan and cook over medium heat until bubbles appear along the edges of the pan. 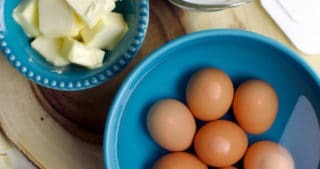 While the milk is heating – add the sugar and egg yolks to the bowl of an electric mixer fitted with the whisk attachment. Beat for 3-4 minutes, until the mixture is thickened slightly and pale yellow. Beat in the cornstarch. With the mixer running, gradually pour the heated milk into the egg yolks in a thin steady stream. Stop the mixer halfway through pouring in the milk to quickly scrape down the sides of the bowl. Resume beating at medium speed to slowly add the remaining milk. 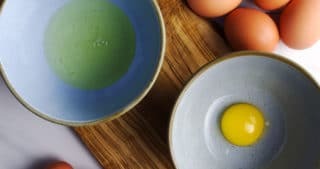 Pour the mixture back into the saucepan and cook over medium heat, stirring constantly with a wooden spoon or spatula, until the sauce thickens enough to coat the spoon with a light, creamy layer. Do not let the mixture come close to boiling. The maximum temperature it reaches should be 170 degrees. Strain the sauce into a bowl through a fine mesh strainer and stir in the vanilla. Cover and refrigerate for at least 2 hours before drizzling over the Chocolate Pie.